The Motorola ROKR E1 has the dubious distinction of being one of the most disastrous mobile phone releases ever. But what is it with this innocuous looking device that is so horribly wrong? To a large extent the ROKR story starts not with Motorola, but with Apple. Ten years ago, Apple was experiencing a resurgence after a difficult time in the 1990s. Sales of desktop and laptop Macs were growing, and the iPod had been launched in late 2001 and was selling in huge numbers. Apple had played around in the PDA market with the Apple Newton in the 90s, but one market that Apple had not broken into was mobile phones. Motorola seemed to be a good match for Apple. Both were US companies, and Motorola had wowed the market with the elegant Motorola RAZR V3. Motorola had also designed some 3G compatible smartphones such as the Symbian-based A1000. Apple had come up with a revolutionary but simple interface for the iPod, and of course they had a background in creating user-friendly software. This combination looked like a dream team. What could go wrong? 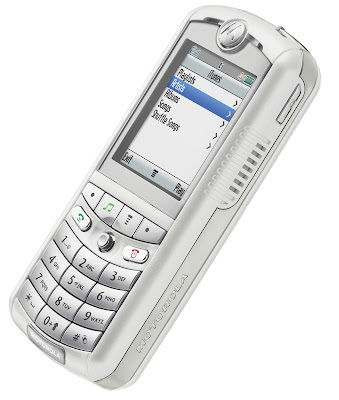 Rumours of an "iTunes phone" started circulating in 2004, but by May 2005 it was becoming clear that the device might be disappointing, when we revealed most of the specs of what was then called the Motorola E790. Industry watchers were hoping for something better, but when the final design leaked out it was clear that this was not the state-of-the-art device people had been hoping for. Instead of designing something new, Motorola and Apple had simply taken an existing handset - the Motorola E398 - and had changed the software, painted it white and had added an "iTunes" button. This warmed-over phone was christened the Motorola ROKR E1 and it was supported by a massive advertising campaign. But the ROKR was an old-fashioned device. It had only 512MB of storage as standard (upgradable to 1GB), a poor camera, was stuck to 2.5G data speeds only and the slow USB 1.1 connection meant that it took ages to transfer files. Although music playback was actually pretty good, the handset had been deliberately crippled so that it could only store 100 tracks. This move was taken to make sure that the ROKR wouldn't eat into the iPod market share. For some reason, consumers didn't fancy a warmed-over and crippled device and sales of the ROKR E1 were extremely disappointing. It didn't stay on the market for long, and it was replaced quickly with the iTunes-less ROKR E2. The ROKR turned up to be more of a FLOPR. For Apple, the whole thing was an embarrassment and a horrible compromise. For their next phone, Apple went off and designed everything in-house to the specifications that they wanted, without compromise. That handset was rather more successful. Today, the Motorola ROKR E1 is the phone that Apple would like you to forget. Because it sold so poorly, it it seldom on sale today.. but when it is, prices seem to be about €30 or so. If you are looking for a quirky-but-flawed piece of Apple ephemera, then perhaps the ROKR E1 is something you would like to add to your collection.